The AyrBrush With Pinstripe blends the latest technology with sophisticated design to create the ultimate in equestrian high fashion. Accented with an exclusive coloured pinstripe, the AyrBrush With Pinstripe is a stunning addition to the Charles Owen line. 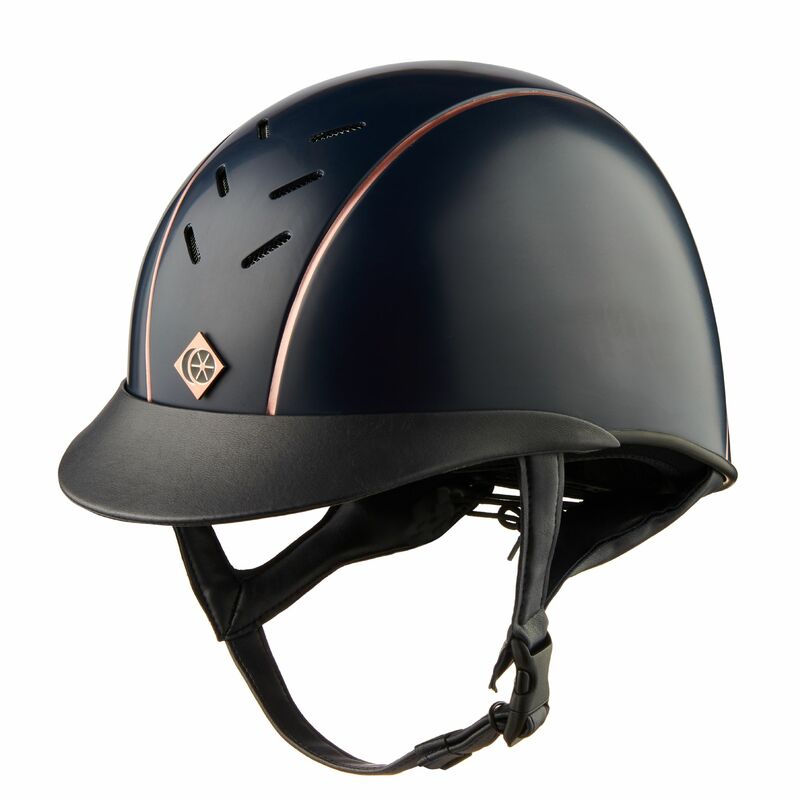 The helmet has an impact-absorbing shell strengthened with glass-reinforced fibres and a soft GRpx® technology harness that ensures unsurpassed stability and a comfortable fit. It features front and rear ventilation slots and has a smooth, matte finish created with an exclusive mark-resistant paint made specially in Britain for easy maintenance.